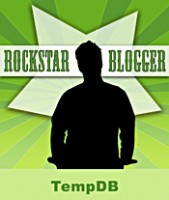 Great post and like all the thoughts and challenges you’ve laid out. I’m not sure I follow which thing you disagree with here. 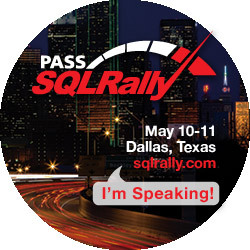 Your thoughts are spot on, but the PASS changes weren’t about SQL Saturday event sustainability, but for PASS the big organization sustainability. Since PASS believes they need to send a person to each event, there’s a significant cost for each SQL Saturday to them. The sponsorship money as well, but I’m betting, on average, the travel and staff costs for sending a staff member far exceeds that amount. The easiest way I see to save dough on SQL Saturdays for PASS proper is to cut WAY back on sending staff to these events. Maybe first SQL Saturdays in an area, or SQL Saturdays that need help. I’m not saying these staff members didn’t add value. I’m just not convinced the value is worth the cost. I know he 600 mile rule has been amended since you wrote this. But even it was problematic due to geography. Oceans, borders, all kinds of things that are near to each other in radius can be difficult for travel.